Jerusalem is one of the oldest and holiest cities on earth gathering three of the world’s major religions in one place. 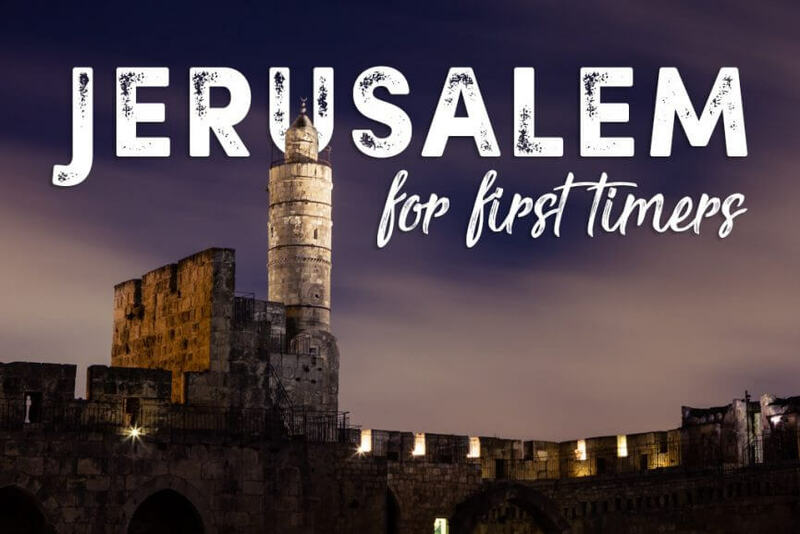 Christians, Jews, and Muslims all share this holy epicenter and each year people from all different backgrounds flock here on pilgrimages to experience and witness this holy capital. 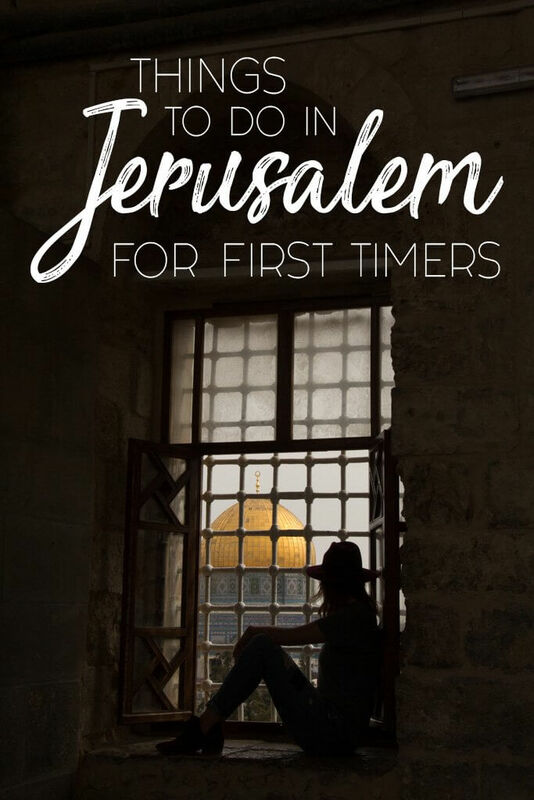 This was our first visit to the holy city and we were blown away by all the beautiful, historical, and amazing things to do in Jerusalem. Neither Scott or I are very religious people and felt the power of all different religions being able to share this small area. We also realized there are plenty of things to do in Jerusalem for those who aren’t here for solely religious reasons too. Did you know Jerusalem has an awesome nightlife scene? 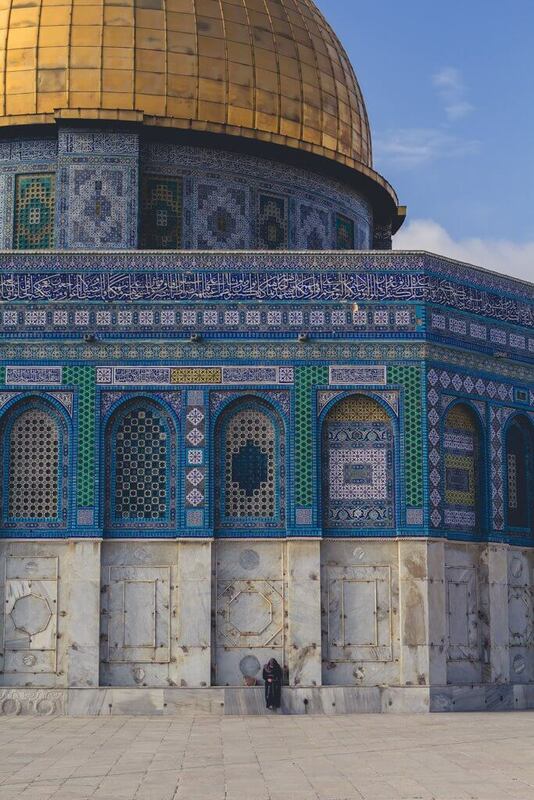 Check out our guide for best things to do in Jerusalem for a first timer! You may even need to spend more than a day exploring the walls of Old City. This is the heart of Christianity, Judaism, and Muslim faiths. You will be able to witness the unique place where all three religions get along enough to share the same space in peace. Not to mention getting lost through the lively Old City markets connecting the four different quarters of Old City. You need at least a day to spend here if you’re short on time consider taking a tour with a guide to save time, but our favorite part of Old City was exploring on our own. Points of interest include each of the four quarters, Jewish, Christian, Armenian, and Muslim quarters. Within the quarters you will find the Holy Church of the Sepulcher in the Christian Quarter, the Wailing Wall in the Jewish Quarter, and the Dome of the Rock in the Muslim Quarter. 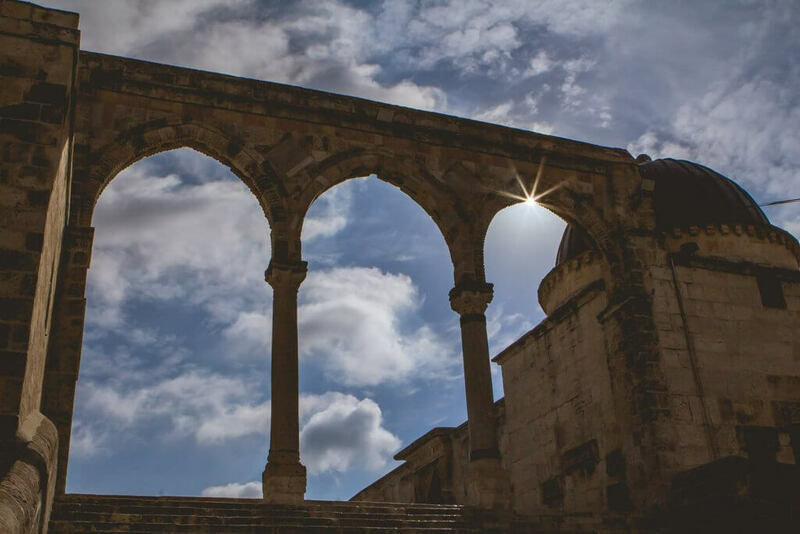 Weave your way through the Old City markets and be sure to check out the Tower of David citadel for a guided tour and an epic view of all of Old City from the tower. Undoubtedly visiting Old City is one of the best things to do in Jerusalem, check out our post on Old City for more details. The Tower of David is worth taking a tour on with a guide to learn the incredible history of this ancient citadel in the heart of Jerusalem. We weren’t expecting ourselves to be so deeply interested in the history inside these walls but were blown away by our guide’s stories. You also get epic panoramic views of Old City and Jerusalem’s modern city. 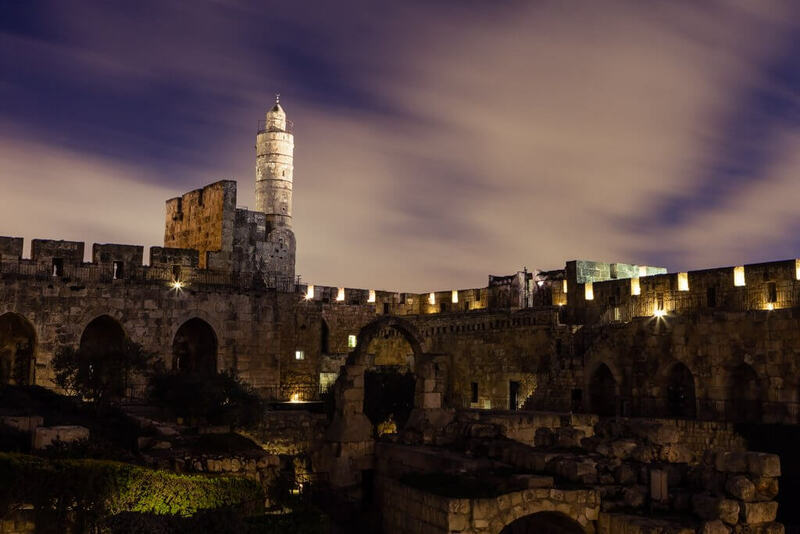 At night you can sit and enjoy an incredibly artistic rendition of the complete history of the Tower of David citadel through a 45 minute light and sound show illuminating the entire span of the interior walls. We really didn’t know what to expect but were blown away and felt like the description of the Tower of David Night Spectacular did no justice for what you actually experience. This activity is great for people of all ages! Be sure to dress accordingly for the weather though, you will be sitting outdoors to enjoy the show! To learn more and book your tickets check out the Tower of David’s website. Do not visit this city without checking out the Mahane Yehuda Market, this was one of our favorite things to do in Jerusalem as well. The market, or shuk, is chocked full of over 250 vendors selling produce, cheese, halva, spices, meats, nuts, seeds, wine, and even textiles to name a few. You will want to make sure you come on an empty stomach so you can sample your way through the place and try some falafel or hummus at the various eateries inside. The market is vibrant and full of life, we found ourselves coming here a few times to just explore and eat. 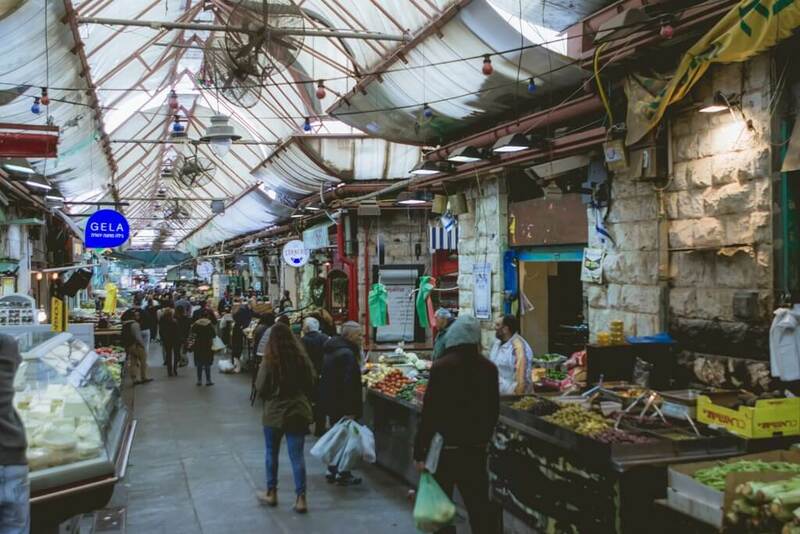 Be sure to check out the Mahane Yehuda Market both during the day and at night. After dark the markets close and the shut doors of where the vendors once were are paintings by local artist Solomon Souza. He has helped turn the famous shuk into an open air art gallery by night. Not only is there incredibly art to admire but the night scene begins to come to life with tiny bars and restaurants making this one of the trendiest places to spend an evening in Jerusalem. Besides having a bite to eat and a few beers at the Mahane Yehuda Market there is actually a fairly good night club and bar scene in the holy city believe it or not! We ended up doing a pub crawl with Abraham Hostel which is an awesome option to get to experience the nightlife scene if you’re not sure where to go or are new to the city, which being a visitor we totally were! Our favorite spot in the night ended up being Video Pub, the only gay bar in Jerusalem and we danced the night away until the wee hours of the morning. Check out their site to find out more about Abraham Tours Pub Crawl. Neither of us has ever experienced Shabbat, but we can say if you have you have never experienced Shabbat like you would in Jerusalem. The entire city literally shuts down and makes you feel like you are in some sort of apocalypse movie. We walked the eerily empty streets on a Friday evening talking about how crazy empty the city looked and felt. Public transport stops completely and people are indoors doing their weekly Shabbat dinner with their families. We didn’t realize we were pretty much out of luck for dinner until we were told we could find a few places open on Shabbat. Shabbat runs from late Friday afternoon until Saturday evening. 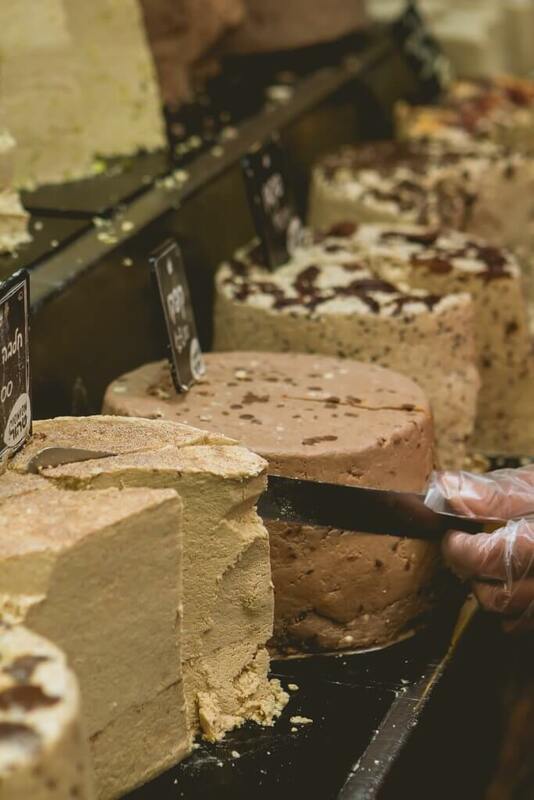 If you’re not in on the Shabbat fun then you may feel lost of where to go and what to eat, as a matter of fact, local authorities penalize any mini marts who stay open during Shabbat. But no fear, there are some places still open during Shabbat, although it takes a little more effort to find. Or you can even find a place that lets tourists join in on the Shabbat experience like Abraham Hostel. 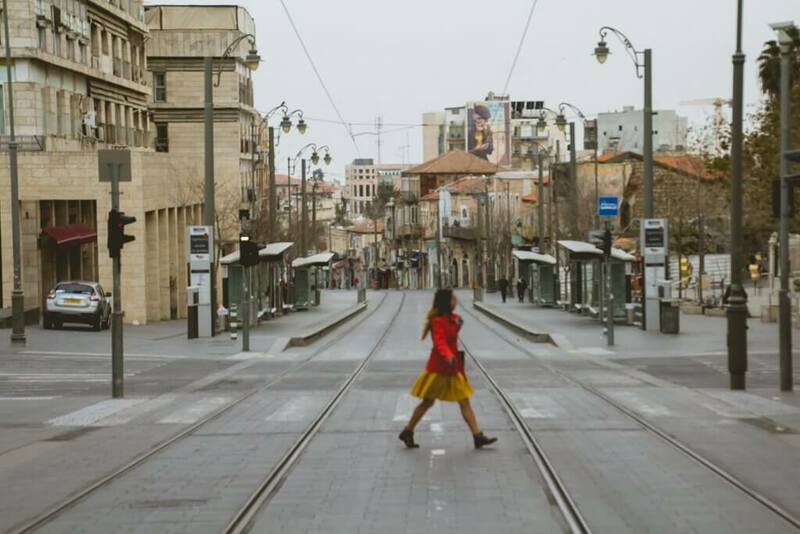 Be sure to take a moment to walk the streets and notice the vast emptiness during Shabbat in Jerusalem though! Fun Fact! You can’t get away from Shabbat even at hotels! Elevators use “Shabbat mode” which means the elevator stops at every floor so that the person inside does not have to touch the buttons. Also, at our breakfast buffet, the toasters were missing on Shabbat. According to the rules of Shabbat, one is not supposed to work at all, including cooking or using electronics during these two days every week, including touching the elevator buttons and toasting bread! Check out this article if you want to see more of the rules of Shabbat. 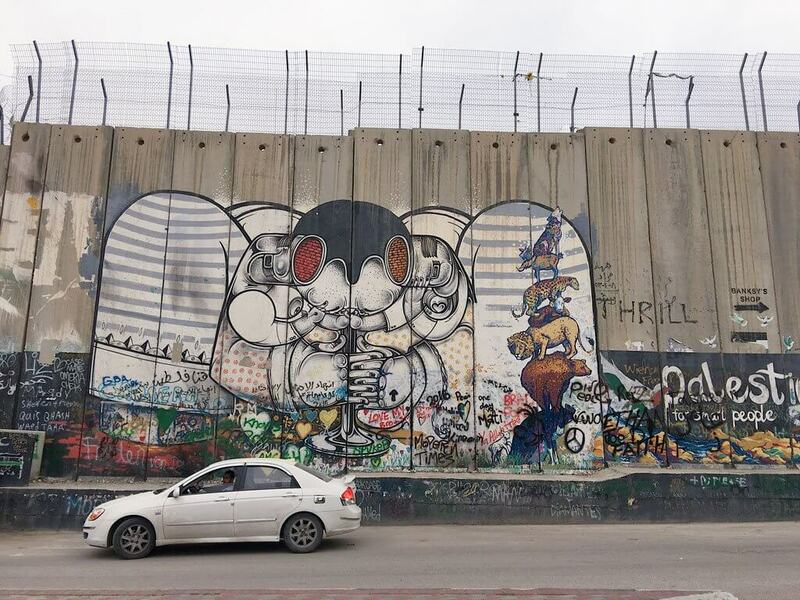 When you come to Israel you should make a point to visit the West Bank. This sanctioned off area is one of the two areas, the other being the Gaza Strip, considered Palestinian territory under the rule of Israel and Palestine and the heart of the conflict between these two groups of people. However, we found the western media to favor one side over the other. 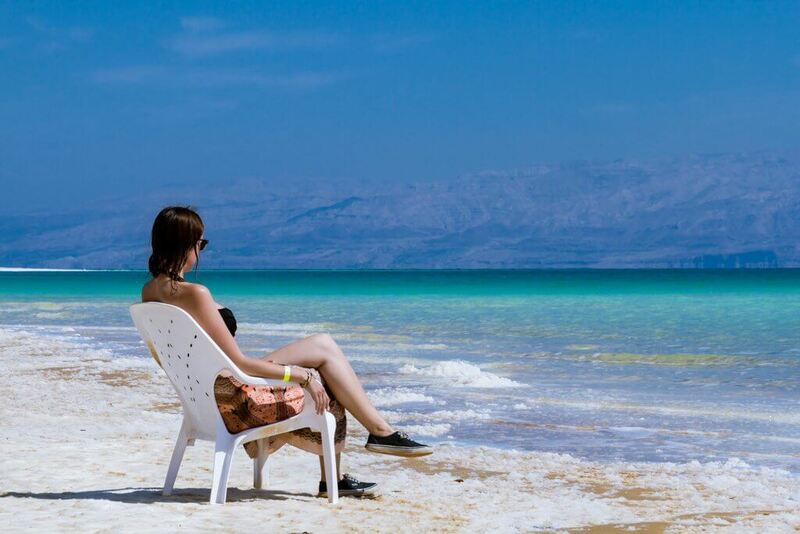 The West Bank is safe to visit and worth seeing and experiencing for yourself. 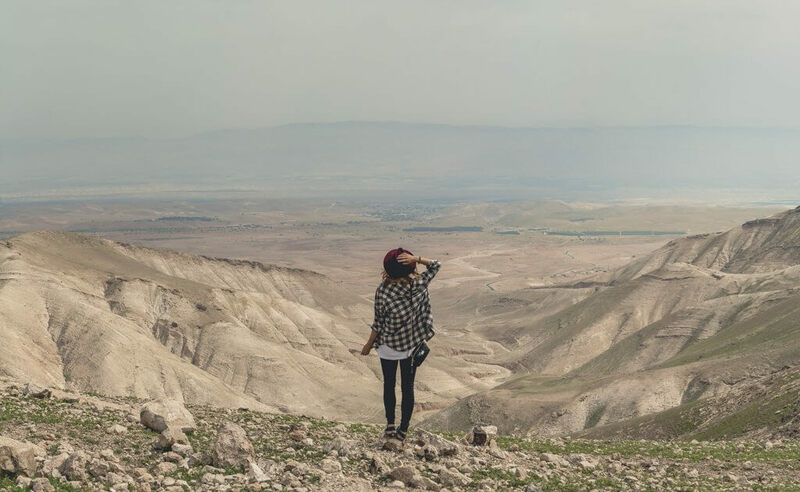 We went twice, once with an Abraham Tours to see Jericho, Ramallah, and Bethlehem and the other time was a DIY Dead Sea road trip with a rental car. Both times we felt incredibly safe and it was an eye-opening experience. We learned a lot from our Palestinian guide and had the experience to walk around alone and make judgments for ourselves. There are two sides to every story and the conflict between Palestine and Israel is not black and white, it’s very complicated. 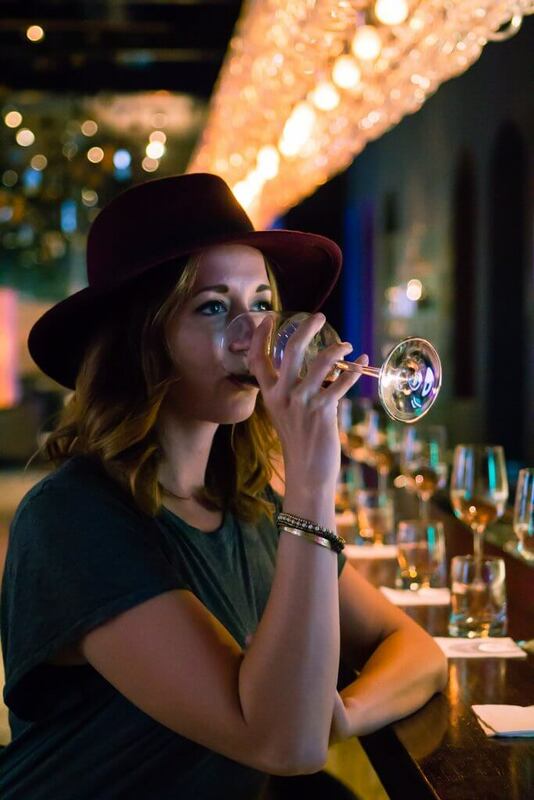 We aren’t asking you to take sides, but to just go and experience it for yourself. 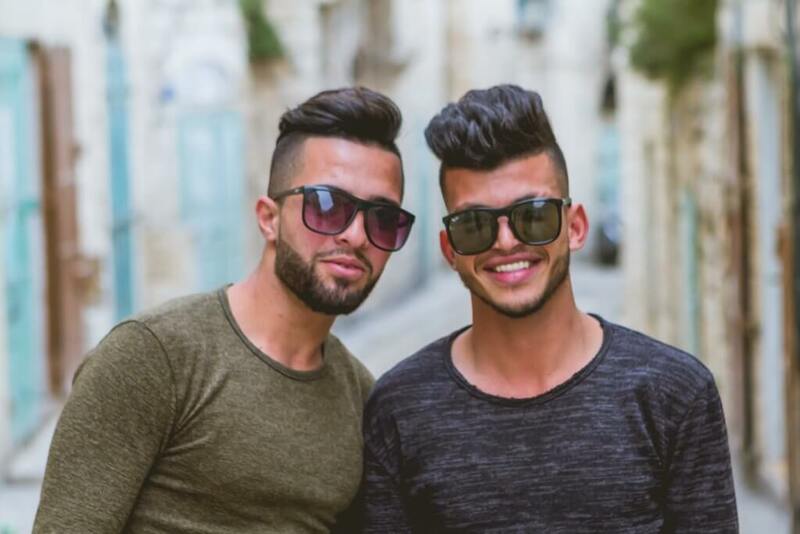 It’s not a dangerous terrorist zone, the West Bank is full of friendly faces and people just like you and me. There are plenty of tour options available, we recommend going with Abraham Tours. Also if you have time there is the Israel Museum to check out, if you don’t have time or want to learn more check out these Israel Museum highlights. Did we miss any of the best things to do in Jerusalem? Let us know in the comments below! If you liked this post, share the love on Pinterest below!